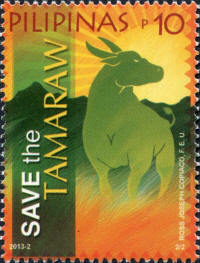 The Tamaraw is a critically endagered species of buffalo and is endemic to the island of Mindoro in the Philippines. 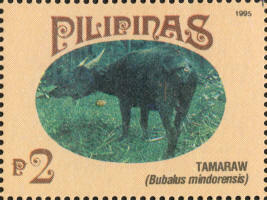 Also known as the Mindoro dwarf buffalo it is smaller and stockier than the Carabao and has lighter face markings and has horns which are V-shaped. 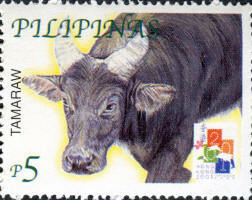 Oringinally it was found all over Mindoro, from sea level up to the mountains, but because of human habitation, hunting, and logging, it is now restricted to only a few remote grassy plains. 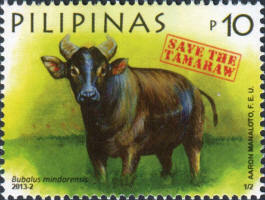 Current estimates place the wild tamaraw population from thirty to two hundred individuals. 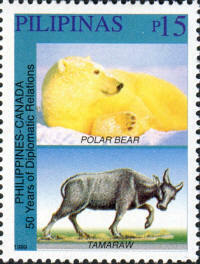 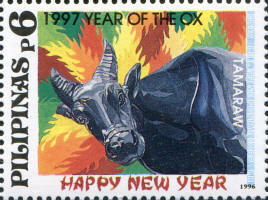 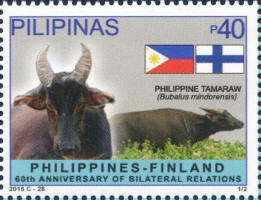 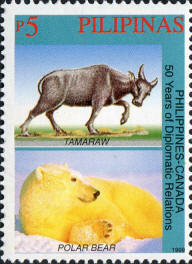 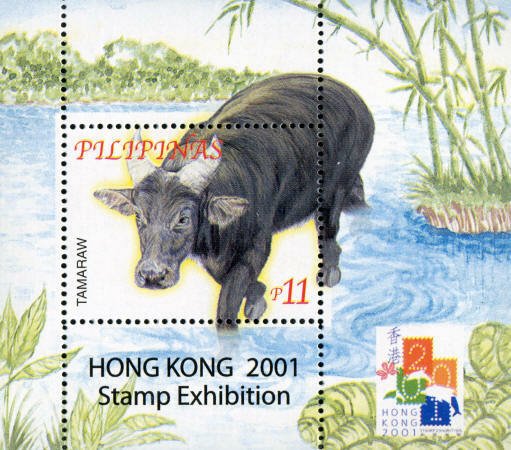 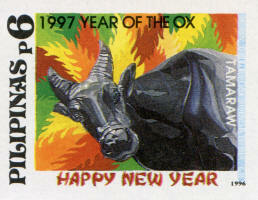 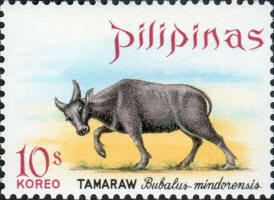 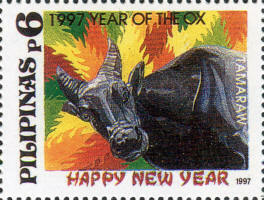 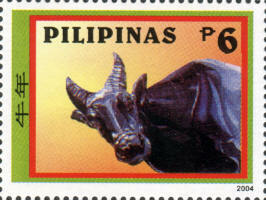 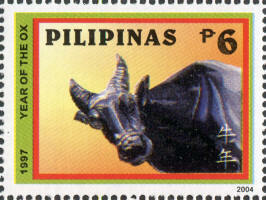 Similar to the Carabao the Tamaraw is sometimes considered to be a national symbol of the Philippines and is found on the 1980-to-early-1990 version of the one-peso coins.